The Bakery is the top premier sellers of the double-decker macaron, fifteen thousand of which are sold every day. They are still one of the best known makers of macarons in the world. 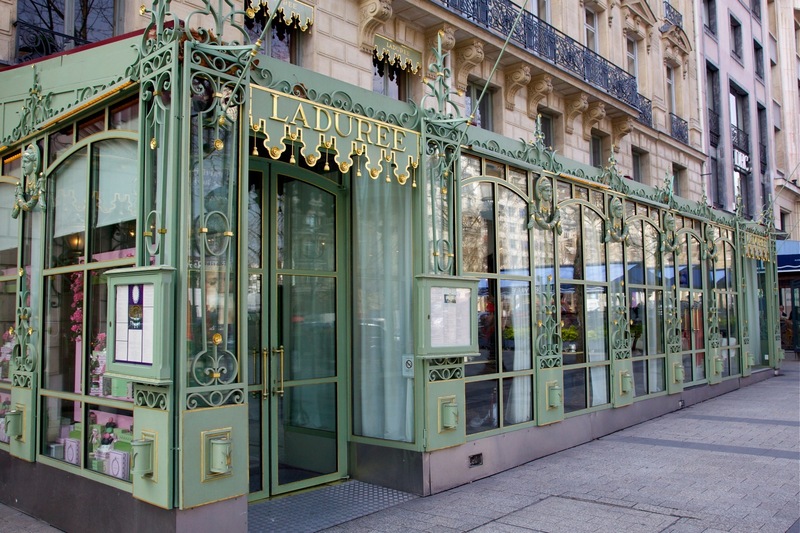 A year after the flagship Laduree boutique along Paris’s famed Champs-Elysées went up in smoke, the luxury tea house has reopened for business. It took a year to restore the café to its original glory after a fire broke out and engulfed the cafe, which has been a landmark since 1997. To serve the throngs of tourists and local Parisian fans alike, a pop-up store was erected alongside the gutted boutique in the meantime. The renovation of the boutique, meanwhile, was an exercise in patience as everything from the carpets to banquettes, chairs, mirrors and banisters were restored to their original state in painstaking, meticulous detail by the same artists who helped build the first store. The only new addition is an extension of the main boutique at 13 rue Lincoln, which will serve as Bar Ladurée for those who may not have the luxury of time but are still looking for a quick, sweet hit. 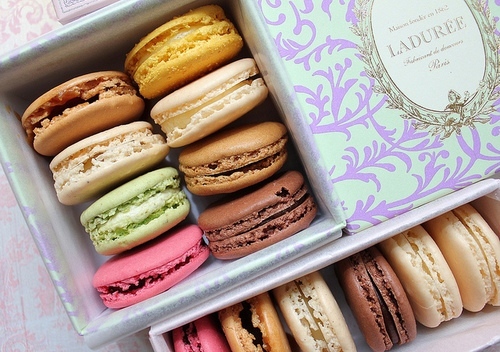 The world owes Ladurée for the invention of the macaron, which sandwiches a ganache filling between two airy, meringue-like cookies, usually presented in a rainbow of pastel colors and flavors. It’s not the first time the 150-year-old company has suffered the ravages of a fire. In 1871, the bakery was destroyed by flames –- a tragedy that led to its conversion as a cake and pastry shop. In Paris, macaron fans are divided in loyalties between Ladurée and famous pastry chef Pierre Herme, who is known for creating inventive, unexpected flavors. France, founded a bakery in Paris at 16 rue Royale. the opportunity to transformation it into a pastry shop.